I'm kind of disappointed in my pictures of this polish more than anything else. 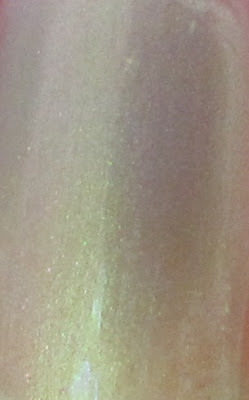 This is a sheer green shimmer with gold/pink duochrome. The duochrome is nicely obvious to my eye, but not so easy to photograph. I tried different light, I tried moving my hand around, but no such luck. I think maybe if I try it over black next time, it will be easier to capture the duochrome effect. This is also five coats of this polish, I should warn you. I quite like the look of it at five coats, but I admit, it doesn't look so hot in the pictures. So next time, a layer or two of black will go under this baby. I think it will be worth it, it's really pretty! Electric Eel applied nicely anyway, despite needing five coats. If you have the chance to get this, I would pick it up. I think it will look great over black or navy. I did try it quickly over Essie Pretty Edgy and it looked amazing! I will be posting that combo eventually as well. I didn't know this OPI!! It's really pretty!Should be great for layering!! but pretty on its own, too!! This one is pretty cool! Even cooler in person! never seen this before >.< beautiful glow! you did great for it having 5 coats, I think if I tried that it'd be a mess :) please do try it over black! Thanks Jenna, it was suprisingly smooth to apply, even with five coats. I will be showing this over black probably later this week! 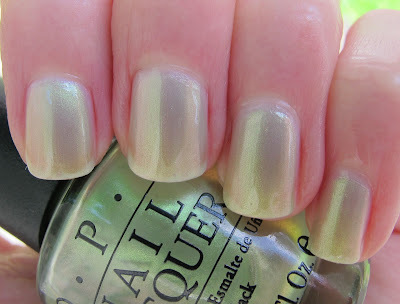 OPI Touring America Fall Collection Part One!! COLOR CLUB PRIDE COLLECTION PREVIEW!!! MAC Bloggers' Obsessions Is Back! Houston, We Have A Sandwich. Sally Hansen Sets Fall Ablaze! OPI Pink Shatter: Pink of Hearts Preview! Blogsale BOGO and What's Coming Up on NEN! 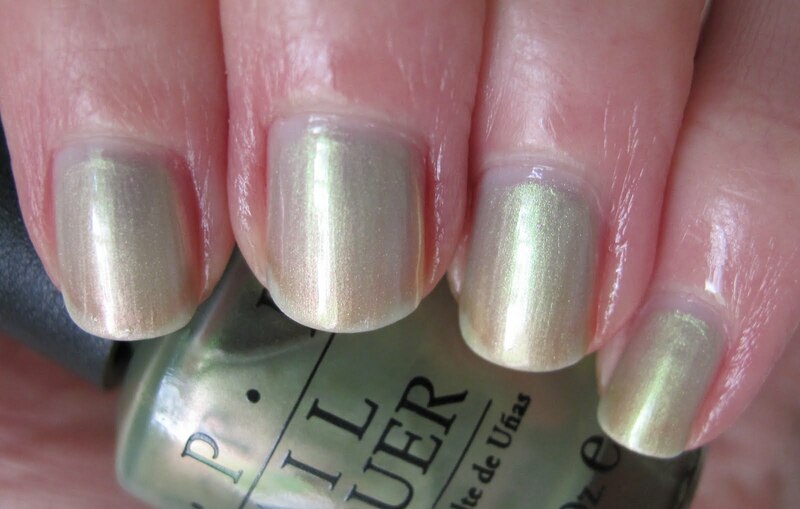 New Nicole by OPI Collection Info! Dr.'s Remedy Bold Baby Blue is HOT HOT HOTTTTT! Zoya Fall 2011 Smoke and Mirrors Preview!!!! Fourth of July Shatter Mani!